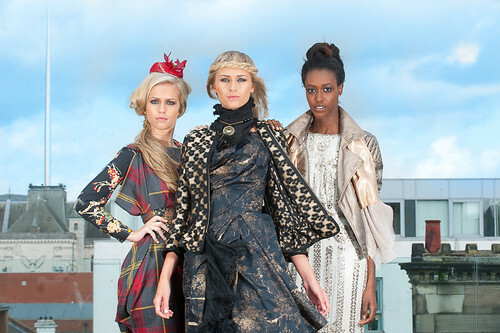 Well its almost that time of year again and this season will see the 14th WEST COAST COOLER FASHIONWEEK to hit Belfast. From the 13th to the 21st of October, various venues across the city will come alive with a fashion buzz like no other in Northern Ireland. There will be everything from Kids Shows to fashion workshops at w5, and chic afternoon teas at the Merchant Hotel to Diet Coke design awards. Not forgetting the renowned Catwalk shows that take place in the Europa FASHIONWEEK centre and the Style Sunday event at James Street South restaurant. It is definitely a week not to be missed by any self-respecting fashionista in the land. Last season I was lucky enough to attend two amazing events at Belfast FASHIONWEEK which I have recapped for you in this post with an overview of some of my style choices from the shows as well as some pictures from this seasons launch in “The Ivory” Belfast. The first was the ‘Highstreet Haven’ show in the Europa FASHIONWEEK centre, where I got a V.I.P preview of the stunning new collection from Boohoo.com who were debuting for the first time in Northern Ireland. We also got a drinks reception with West Coast Cooler before taking our seats to watch the show filled with all the latest trends from our favourite high street stores. For this show I wore a pink sequin Vintage dress from Boudoir Boutique and got to meet some amazing people from the fashion industry including Cathy Martin and Michael McCrory who invited me to the event. 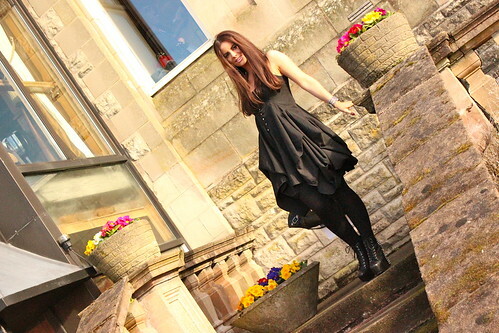 The second event was the ‘Fashion Tea’ at the Culloden Hotel which was an amazing day set in beautiful surroundings. 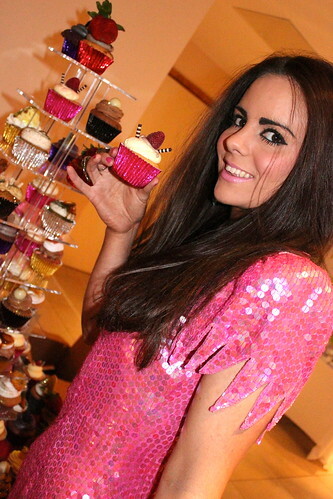 We were served a delicious afternoon tea whilst viewing incredible designer fashions from Cruise at Victoria Square. For this event I chose to wear an All Saints dress, with Jeffrey Campbell “Lita” boots and a Boohoo scarf which I received as a gift from the preview the night before. As well as the high end designers and high street stores, one thing I absolutely love about Belfast FASHIONWEEK is the fact that local, talented designers have an opportunity to showcase their spectacular creations. This season will feature some of my favourites including Una Rodden, Nor-Lisa Fashion, Van der Simon knitwear, Dave Henderson and John Paul Millinery. Judging by the line up for this A/W’12 FASHIONWEEK it can only get bigger and better than last time and I for one cannot wait to attend! Kellyanne McKendry is pictured wearing an Una Rodden Dress and John Paul Millinery Hat. 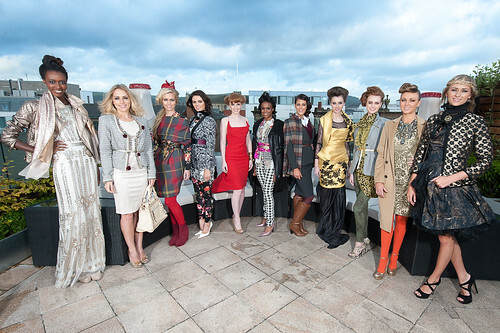 Belfast FASHIONWEEK models showcase some of the stunning looks stylistas will be seeing on the Autumn Winter catwalks this season.